Art, design and activism. The interdisciplinary studio Rebar, based in San Francisco, is the connection between three realities. 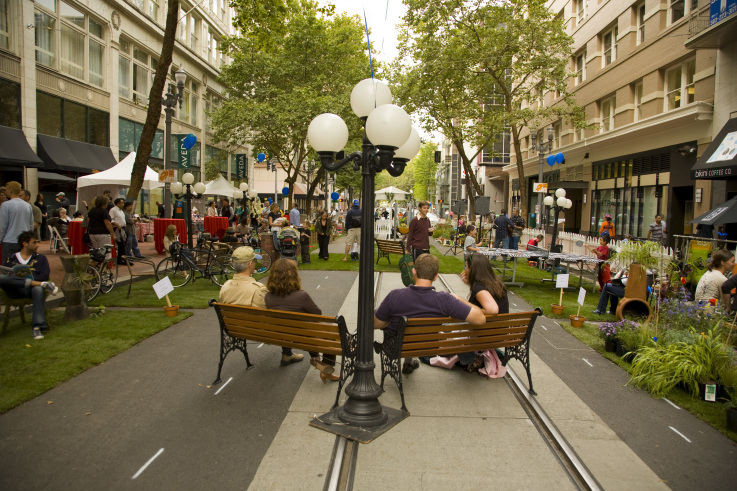 A noteworthy project, realized every year in the californian metropolis (and in many other cities), is the PARK(ing) Day. The PARK(ing) Day is a global event where artists, activists and people work together to transform few meters of a parking lot (suitable for a car) into temporary gardens or green public spaces for some hours, that they legally reserved in the parking meter. Rebar carried out a research about the use of public land, discovering that more than 70% is actually used as cars’ transit or stop, while only a small part of it is used as green or public space. Born in 2005, the project planned, at the beginning, the setting of little rest areas, decorated with trees and benches. Later, the typology of the gardens became more and more various, including also environmentalist demonstrations, urban horticulture or artistic installations. From its birth till now, more than 500 gardens/parks have been realized in hundreds of cities all around the world: from South Africa to South Korea, from Norway to Poland, Citizens worldwide are starting to recognize the need for new approaches to the urban landscape. 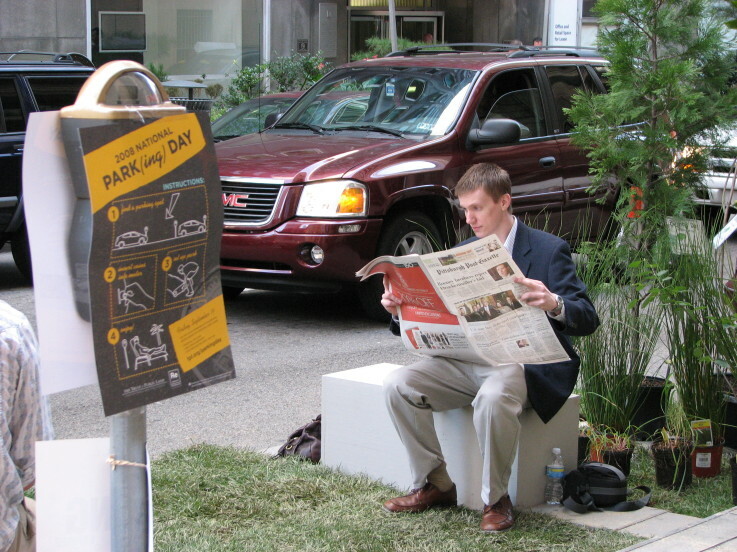 PARK(ing) Day demonstrates that even temporary or interim spatial reprogramming can improve the spatial quality of the city. To express the absurdity of the landscape in which we live, becoming everyday less accessible to people, Rebar chooses to use typical urban furniture and reinvent it in a new contest, aiming to analyze in a critical way the urban space’s structures. Streets become space of growing creativity through happenings and installations for a briefed period. The studio talks about its project as tactical urbanism, which means short and temporary changes in the surroundings, as a spark of a bigger transformation of the environment. Their performances are what the historian Michel De Certeau called (in his work The Practice of Everiday Life) “ways of operating”, i.e. strategies and tactics to express their critical actions in the collective space. Every park keeps inside an enormous potential, able to show people many and different possibilities which involve a change in the urban ecosystem. They represent an unusual and spectacular interruption of the everyday city life’s context and, at the same time, they could be read as a critic to the values and priorities of the urban policy of our cities. Rebar, in the PARK(ing) Day program manifesto, quote Guy Debord, member of the Situationist International, comparing what he called ‘situation’ (a moment of life concretely and deliberately constructed by the collective organization of a unitary ambiance and a game of events) to the temporary change of urban space in gardens and parks. The creation of public situations between people is seen by the activists as generous urbanism, that is a performance that could enrich people and places at the same time.